Connected devices and wearable products are now everywhere in the consumer electronics industry. They are not new – they’ve been around in various forms for almost forty years. VR and AR both utilize 3D data to simulate or overlay reality with digital information. VR immerses users inside virtual worlds, while AR augments the real world with virtual things. Both are now getting into the engineering and manufacturing industry with the emergence of smart devices such as tablets, smartphones, smart eye-wear, in the like of Google glass, Oculus, Magic Leap, HoloLens, etc. Product technical publications that are driven by 3D data and bills of material (BoMs). 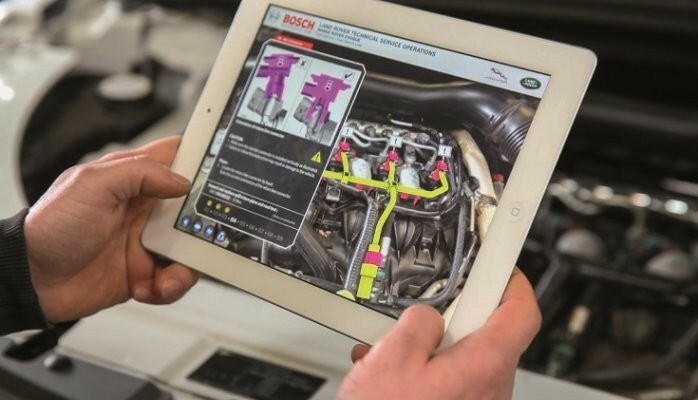 Assembly instructions, robot performance, physical asset logistics and stock status on the shop floor and service instructions (application examples of the above); which can be overlaid against physical photos or videos to augment real-time or offline views. Filtered attribute-based views that can be represented against digital 3D models or physical assets augmented with 3D digital models; using VR or AR goggles for visualization and gloves for manipulation of the virtual objects. Factory, cells, robot performance, actual against simulated and planned delivery input and output can be represented against physical entities in order to simplify access to information, in-situ. These technologies can be used to improve physical assets by providing digital diagnostics and related information that can support better decision making. Virtual information can feed back to physical information, e.g. through new design or development, service and maintenance improvement, etc. Smart factories will be able to be feed back information to improve product attributes or key parameters upon identification of opportunity improvement on the shop floor. AR will provide the opportunity to create a feedback loop process for rapid identification of data, through smart identifiers that will be traceable throughout the product realization lifecycle. Rapid familiarization with product features through a combination of virtual and physical interactions. Clear visualization of technical publication for all assets, parts, components, tools, etc. Virtually validation of part application and function. Reduced training time by providing real time, in-situ, access to digital, virtual and augmented documentation. Informed visual decision making – by overlaying virtual to physical data, real time or in context. Increased work efficiency if a warehouse picker could automatically know the inventory levels of his most important items, and if he could be prompted in the exact direction of the items he was looking for, as opposed to “searching” with no explicit queues to help him. This post was originally published on LinkedIn on 11 February 2016.